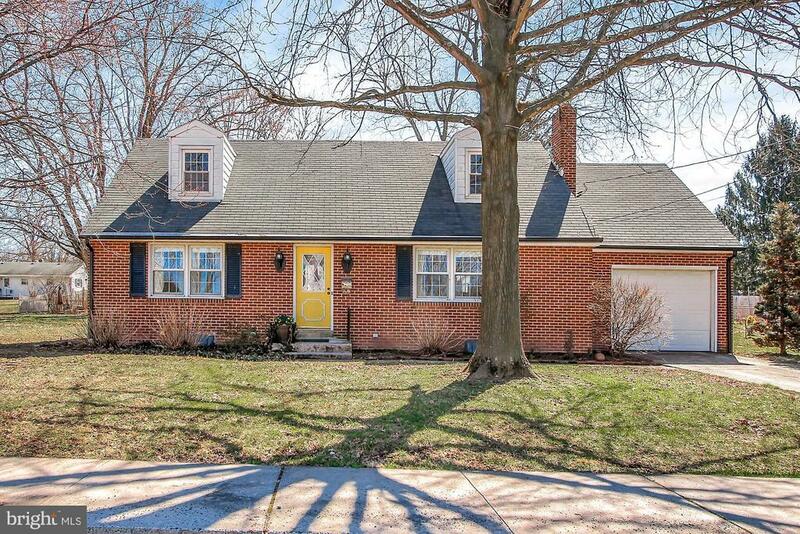 Character and charm envelop this 1, 869 square foot Cape Cod 4 bedroom/2 bath home in Twin Oaks, just minutes to downtown Gettysburg and the battlefield. Recently renovated. Refinished hardwood floors on both levels, central air, gas fireplace, 3-season sun porch, deck and lovely landscaped back yard. Kitchen & 1st floor bath were gutted. Custom 42" maple cabinets, gas stove, built-in spice rack & pantry. First floor bath has walk-in shower with rain head, vessel sink, antique vanity and pocket door. Garage. Unfinished basement. Gettysburg School District. Contact owner at 703-304-6552 or leahpowellappraisals@gmail.com to schedule an appointment. Directions: From Gettysburg Sq: Carlisle Street (34N) to right on Lincoln Ave, right on Early, left on Rodes to home on right.